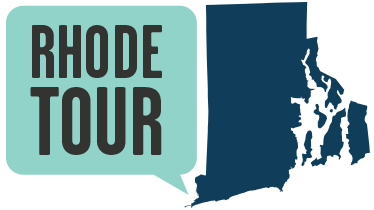 The Woonasquatucket River (woon-AHS-kwa-tuk-it) has been at the center of Rhode Island’s uniquely layered history of invention, innovation and multiculturalism. The Narragansett and Wampanoag tribes who first settled the region called the river “where the salt water ends.” The river flows approximately 19 miles from the headwaters northwest of Providence, 300 feet above sea level, and flows steeply downward before joining with the Moshassuck River to form the Providence River, which in turn flows into Narragansett Bay. The lower part of the river closest to the Bay is tidal. The rich wildlife drew Native Americans here to forage for berries, to fish and to hunt small game. The lush wooded river valley made it home to fox, coyote, rabbits, white tail deer, otters, and raccoons, along with occasional bear and moose. Trout, salmon, herring, eels, bluegills, pumpkinseeds, catfish, turtles, swans, mallards and hooded mergansers lived in and on the river. In 1636 a treaty gave the land between the Moshassuck and the Woonasquatucket to Roger Williams. Shortly thereafter, European settlers started to manage the river to profit from its riches. The river's swift drop made it particularly easy to utilize. Farmers used waterwheels to grind their grains, to saw timber, and to power other small industries. 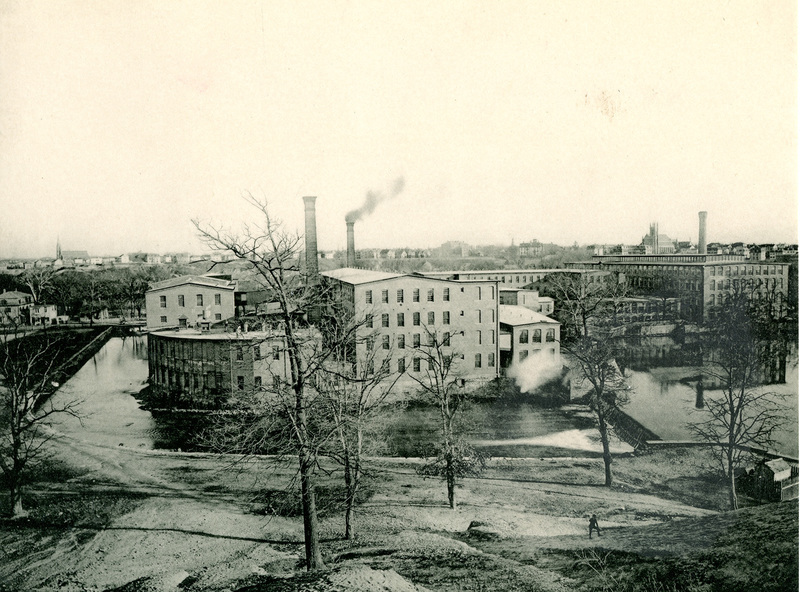 After Samuel Slater harnessed the Blackstone River in 1790 to run his textile mill, other businessmen built along the Woonasquatucket. More and more factories followed suit until nearly every foot of the river’s drop was used to turn a factory water wheel. The heavy dependency of factories on the river’s flowing water made dry summer months particularly challenging. In January 1824 the Rhode Island General Assembly issued a charter to the newly established Woonasquatucket River Company, formed by leading merchants to construct reservoirs along the Woonaskquatucket River to collect spring rains and to hold a supply of water during dry months. The founders pooled their capital and constructed four reservoirs: Slack’s, Sprague Lower, Waterman, and Stillwater. This experiment proved so successful that it became a model for industrial rivers around the world. 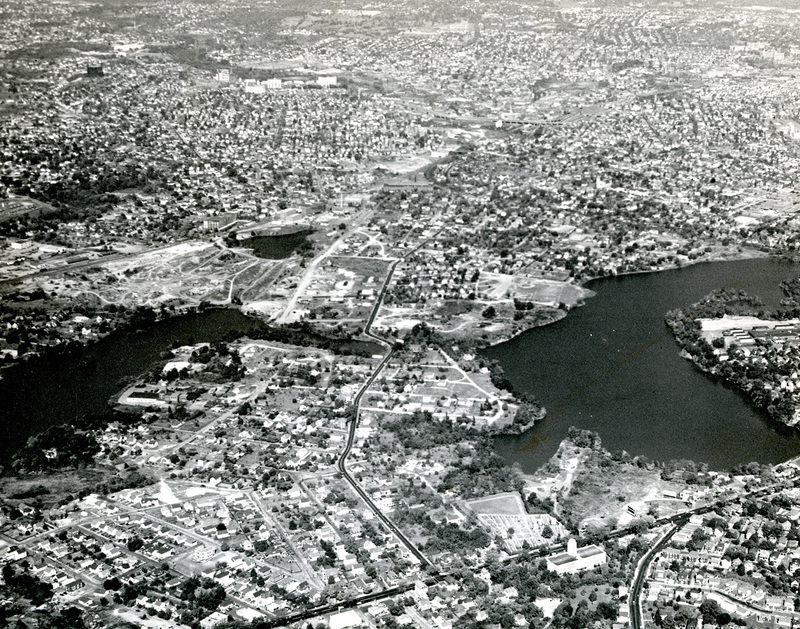 Stillwater Pond (now Woonasquatucket Pond) is the largest reservoir on the river itself. 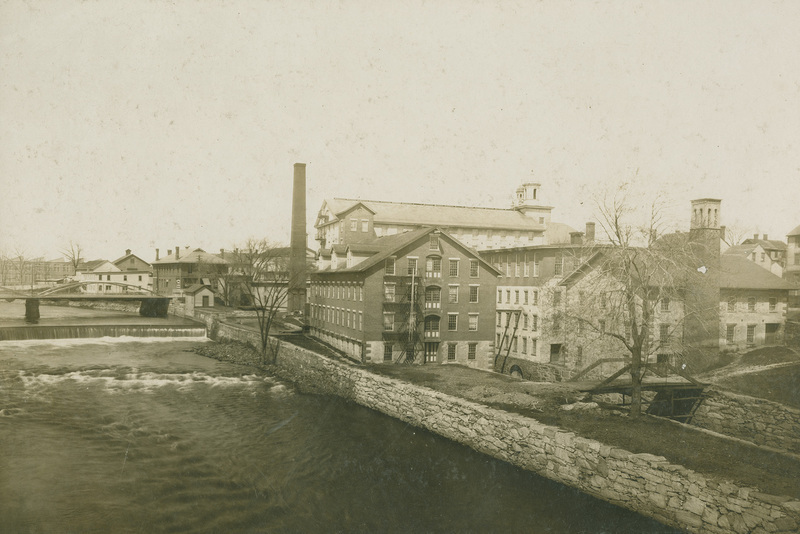 Improvements in waterpower management spurred technological and business innovations, including the first power loom and the first mutual system of insurance originated by Zachariah Allen at his Allendale Mill. The river has a total of 18 dams, testimonies to the interaction between the river and the industries it supported. Providence Worsted Mill: Mills like the Providence Worsted Mills used the river’s fast moving currents to power their water wheels. ~ Source: Rhode Island Collection, Providence Public Library. 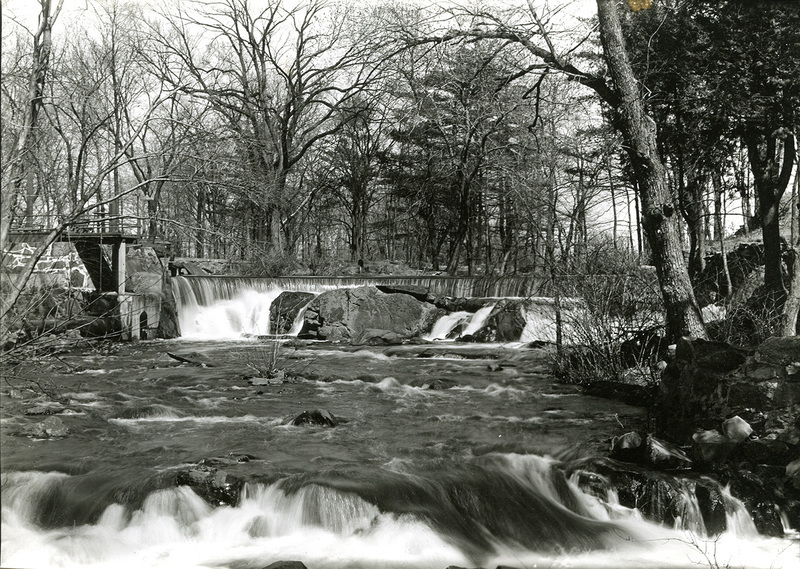 A Dam on the Woonasquatucket: Rivers had to be slowed by way of dams to be utilized for water power. ~ Source: Rhode Island Collection, Providence Public Library. 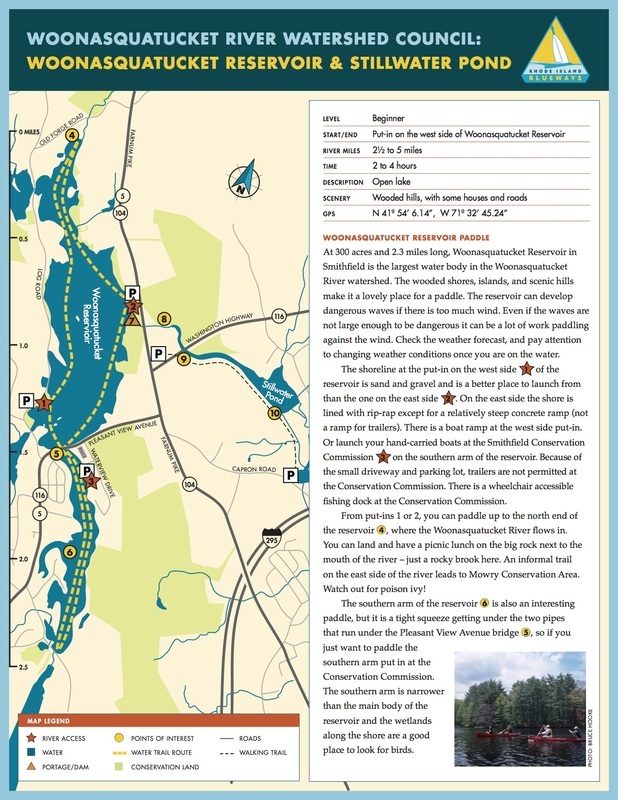 Woonasquatucket Reservoir Paddle Guide : Wooded shores and scenic hills make the Woonasquatucket Reservoir is a popular place for paddlers and picnickers. As part of the restoration of the Woonasquatucket River, some dams have been remade into fish-friendly passageways. The reservoirs of the Woonasquatucket River make for lovely walks. Here is a link to several of them: https://www.smithfieldri.com/seven-scenic-walks/#stillwaterscenic. Jane Gerhard , “Woonasquatucket Reservoir,” Rhode Tour, accessed April 21, 2019, http://rhodetour.org/items/show/214.